An authentic London Dry Gin GIBSON’S launches its new limited edition, which is inspired by its British style, but they spiced it up with an eccentric twist. This limited edition is has vivid colours, red and blue, and a specific cap. 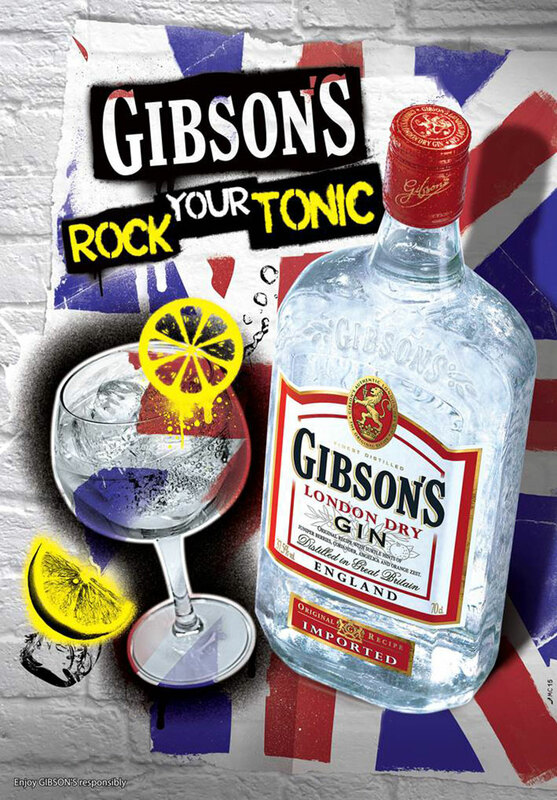 GIBSON’S is a famous Gin brand from England and is inspired by the punk rock musical movement born in the 70’s. They have celebrated this punk rock territory in a new communication visual, with a graffiti style. And, if you want to make a refreshing summer cocktail, the brand with its citrus fruit aromas and hints of angelica and coriander is perfect for it. GIBSON’S Gin is proud of its English origins and is known for delicate aromas of citrus fruits, juniper berries, angelica and coriander. Their quality is widely recognized and distributed in more than 40 countries. GIBSON’S London Dry Gin is available worldwide in 5cl, 20cl, 35cl, 50cl PET, 70cl, 100cl (37,5°).